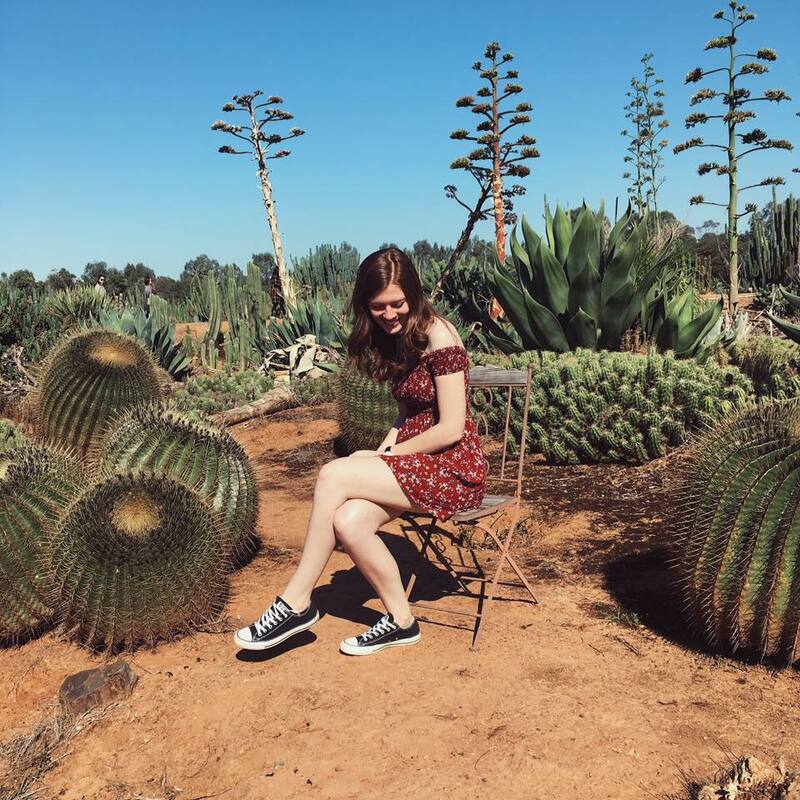 A brand new post about my novel journal! So in love with it. I add more and more to it every day and it’s been a helpful tool to have! 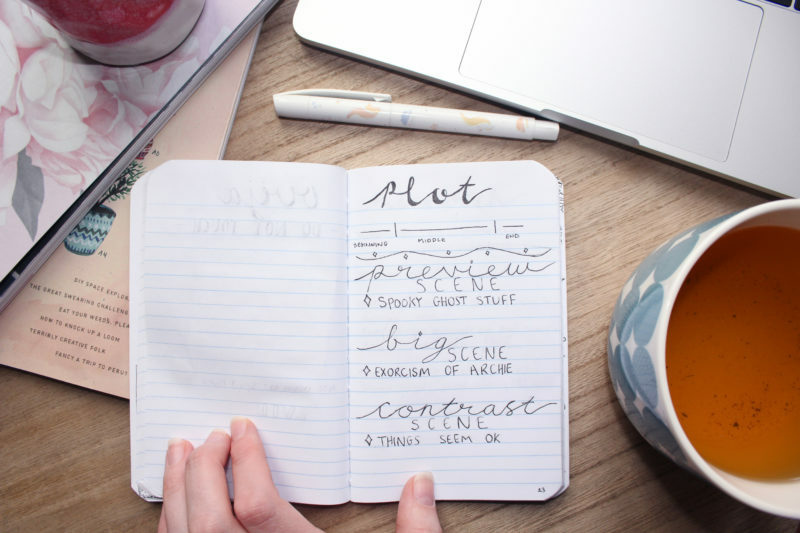 I hope these posts inspire some of you to start journaling! This page is a character bio for my favourite character, Emilie Anne Campbell. Emilie is a little spitfire. She moved to New York to study Journalism and has a strong love for fashion. When she was growing up she dreamt of being a model but she’s a shorty so that dream never happened. She is also very good at picking up languages. She loves to learn new languages and is fluent in French. This is one of my most useful pages of all! My word count tracker. 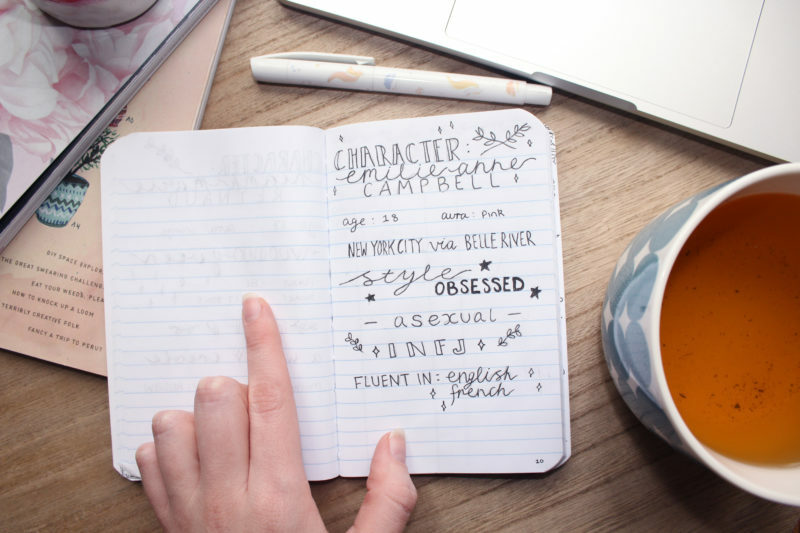 If you’re wanting some motivation for writing, make yourself one of these and it will help so much! It’s so cool to actually see my progress written down and be able to keep track of it. 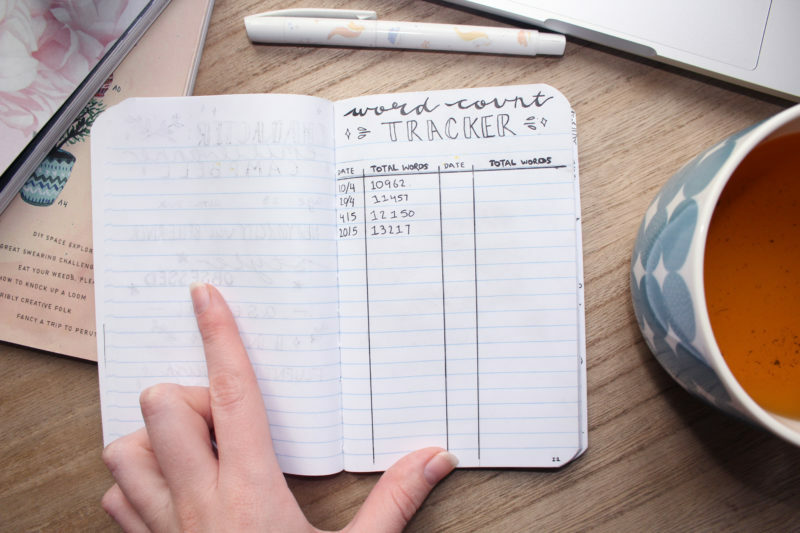 So I 100% recommend trying out a written tracker if you need some help. This is my little Ouija board! A bit of inspiration for The Witches of Belle River. It’s hand-drawn, stained with coffee and covered in clear nail polish to keep it from smudging! 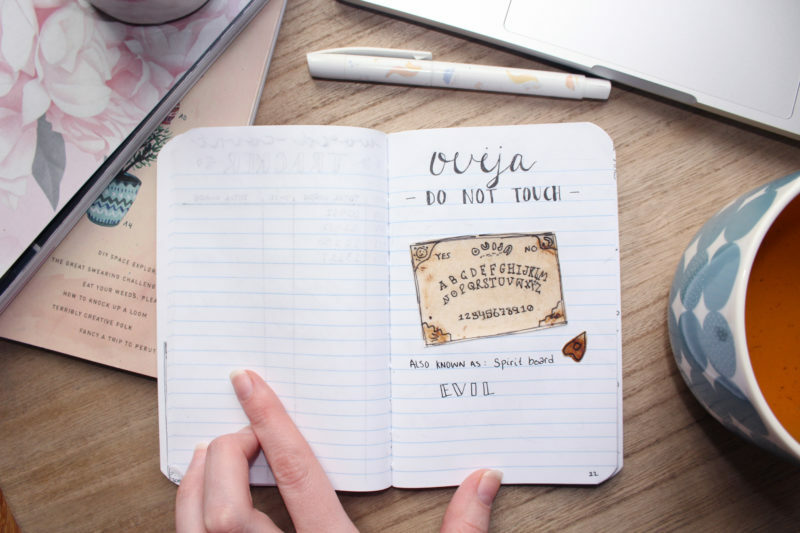 This is not what the Ouija from the book looks like, it’s pink and glittery, but it looks cool. Plot! Always helpful to remind yourself about plot. I really love the look of this page. I wrote down my preview scene, big scene and contrast scene. We covered all of this in class one day and it was helpful to think about. I’ll post some more pages soon!